How Do UK Retail Sales Impact GBPUSD? How do UK retail sales impact the GBPUSD pair? When will the report be published? 18 October, GKFX – The UK retail sales, scheduled to be published later this session at 0830 GMT, are expected to drop 0.4% m/m in September, following an increase of 0.3% in August. Total retail sales are seen rising 3.6% over the year, up from 3.3% in August. Meanwhile, core retail sales, stripping the basket off motor fuel sales, are seen dropping 0.4% m/m while rising 3.7% y/y. Readers can find FX Street's proprietary deviation impact map of the event below. 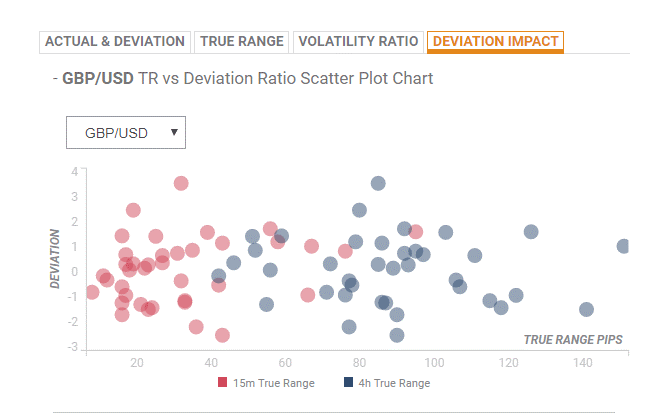 As observed the reaction is likely to remain confined between 10 and 70 pips in deviations up to 3.5 to -1.5, although in some cases, if notable enough, can fuel movements of up to 100 pips. UK Retail Sales Impact GBPUSD? “Looking at the broader picture, the mentioned trend-line, along with another (descending) trend-line, against the backdrop of the downfall since mid-April, now seems to have constituted towards the formation of a bearish pennant on the daily chart. The Retail Sales released by the Office for National Statistics (ONS) measures the total receipts of retail stores. Monthly per cent changes reflect the rate of changes in such sales. Changes in Retail Sales are widely followed as an indicator of consumer spending. Generally speaking, a high reading is seen as positive, or bullish for the GBP, while a low reading is seen as negative or bearish.